From a consumer standpoint, lemon law in California can certainly be a confusing concept. This is likely due to the fact that most people affected by lemon law are dealing with the situation for the first time. If you are faced with a lemon, it’s very important that you conduct your research from reliable sources and not fall victim to believing some of the major myths floating around. In regards to the law, there is a lot of false information surrounding buybacks. Buybacks are essentially a reimbursement that the manufacturer is required by law to provide a consumer if the vehicle they purchased or leased meets the criteria of a lemon. While this may sound fairly straightforward, there are a lot of smaller details that tend to get overlooked, which in turn, form some of the common myths. Here are three of the big ones that need to be put to rest. Lemon law is present across the United States. However, the specifics can vary from state-to-state. In most, only new vehicles can technically be classified as a lemon. On the contrary, in the state of California, used cars can potentially be ruled a lemon and consumers might be eligible to receive a buyback. Meeting the criteria of a lemon law used car is a bit different than a new one. The most important thing to consider in this process is whether or not it was sold “as is.” If you checked this box when you purchased the used vehicle, it, in all likeliness, may not qualify as a lemon. Look at the used vehicle’s buyer’s guide. If the vehicle is covered by the original manufacturer warranty, a dealer warranty, or any other express warranty, the used lemon vehicle could be processed in the same way a new one would be. 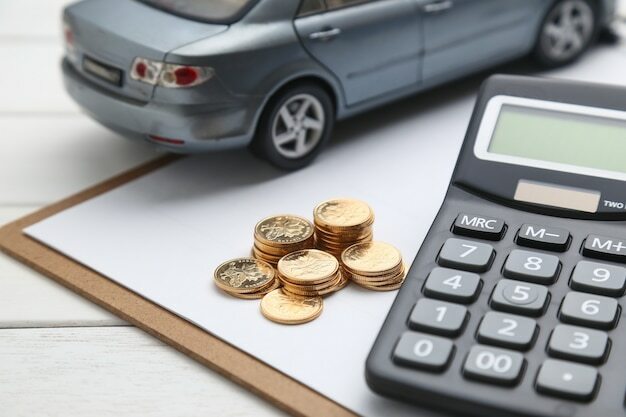 The used vehicle may also be covered under an “implied warranty of merchantability” – which is essentially a guarantee that the vehicle is equipped to provide safe and reliable transportation for the duration of the dealer warranty. While the myth that used cars cannot qualify as a lemon is certainly true in some states, California is not one of them. There’s no hiding from the fact that dealing with a lemon law case is not always a picnic. In many scenarios, the entire process of the legal proceedings and getting a manufacturer to provide the buyback may take a while. However, this is a myth that is almost entirely dependent on how proactive you and your California lemon law attorney are. Additionally, the timeline of getting a buyback depends on how strong your case is and how much evidence you have against the manufacturer. There is no guaranteeing a specific day your case will be completely resolved. If a lawyer makes any guarantees in this regard, they are not being truthful with you. The best they can do is the estimate. There are several things you can do, however, to help speed up the process. If you prevail in your lemon law case, the manufacturer is responsible to reimburse you for all these costs. Speedy buybacks should be one of these answers. Being as how there are more vehicles on the road in California than any other state, good lemon law attorneys place a very high value on getting defective vehicles off the road and making sure the consumer gets justice from the manufacturer. Ultimately, this helps to keep the treacherous roads in California safer. So, depending on how you go about filing a lemon law case, the myth that it takes ages is simply not true. If you have everything you need and hire the right lawyer, you could get a buyback processed extremely quick! The notion that any lawyer can effectively handle a lemon law case and get you a speedy buyback could not be further from the truth. If a law firm tells you they can handle your claim, but don’t specifically promote lemon law services, there is a good chance they are just trying to sign a client and are not specialized in this area. Keep in mind, the auto industry is backed with VERY powerful legal defense. You DO NOT want just any lawyer representing you. You need an attorney who is well-versed in lemon law and knows the legal landscape of the auto industry. Additionally, it’s wise to avoid the nationwide lemon law firms. Most of these make money based on the number of clients they sign and have no real interest in getting the most out of your claim. It’s very common that these firms will try to get you to agree to a cash settlement instead of a full buyback. YOU DO NOT WANT THIS! If you are spending more time communicating with assistants or paralegals, this is a red flag that you need to find a different lemon law attorney. Remember, if you prevail, the manufacturer is required to cover all your legal costs. Do yourself a favor and bust this myth by seeking out a specialized lemon law lawyer who knows what they are doing. Lemon law is tricky business. While there are many general concepts that seem simple, there are many tiny details that can make the process seem unclear – and are responsible for a number of myths. A buyback is the most common remedy for a lemon vehicle. If this is your goal, the most important thing to do is get started with the claim right away. If you have a strong feeling that something is not right with your new or used vehicle, schedule a free consultation today and get more information!